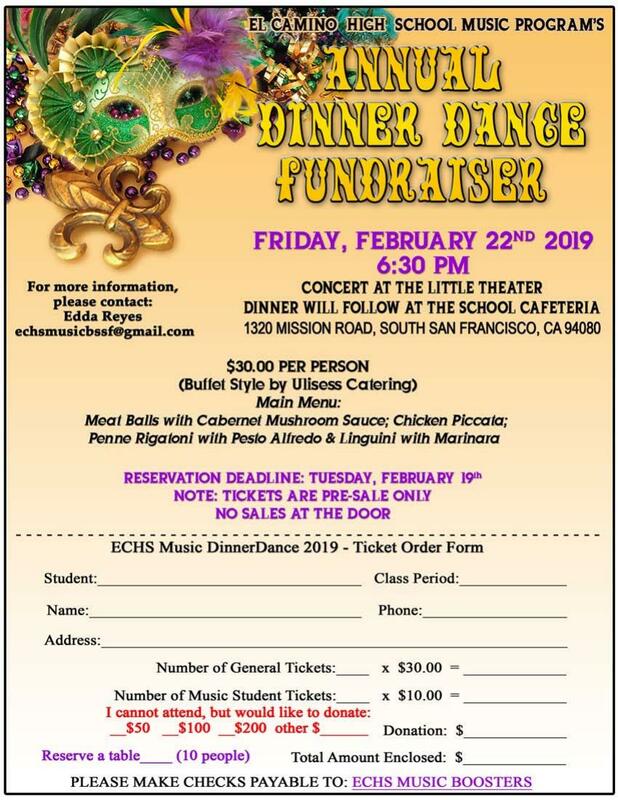 Your are cordially invited to El Camino HS Music Program Dinner Dance Fundraiser. Please come to enjoy great music and food while supporting our music program and students. Thank you!